Project Shield: nVidia’s portable gaming system. 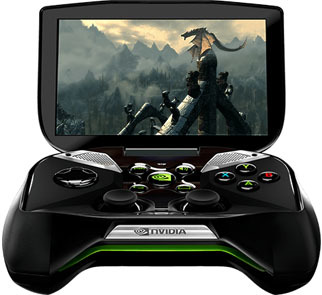 nVidia is about to try and take its share of the handheld gaming market. The new portable gaming system would be nVidia’s first attempt at making their own standalone gaming system. As any PC gamer knows, nVidia provides top-of-the-line, high quality video cards, although not all are affordable the company manages to be on top of its competitors. Will they be just as successful with their very own handheld device? The handheld gaming system was first unveiled at the Consumer Electronics Show (CES) of 2013 and is codenamed “Project Shield“. It is expected to be available on the market on April 2013. At first glance, Project Shield looks more like a make-up kit with its big square frame. A lot of people increasingly use their smartphones and tablets for gaming. People are growing accustomed to slim devices. But gaming on a smartphone and a handheld console are two different experiences. More room means more power for the Project Shield. It would hopefully be able to handle rich and immersive games that are normally only reserved for the desktop. Project Shield is to be powered by a Quad-core A15 Processor and a Custom 72-core GeForce GPU. It also features Android 4.2.1 OS(Jellybean), a 5-inch 720p Multi-Touch Screen and integrated speakers with bass-reflex. I guess the controls would benefit from minor makeovers. Judging from the positioning of the buttons and the contours of the device I blindly guess that it may be uncomfortable to play with. Of course I may be wrong. We’ll all know come April 2013. The PlayStation Vita didn’t make that big of a splash when first unveiled and it looked awesome with its sleek design. So can we expect consumers to line up for a portable console that looks like it belongs more in a living room setting? Another thing to look out for is its batteries. It is reported to include 38 watt hour rated batteries. This translates to about 5 to 10 hours of game play or 24 hours of HD video according to nVidia (I’m guessing it would deliver 5 hours or less of game play). If Project Shield is to power resource-intensive games for hours then it better be packing some serious heat. 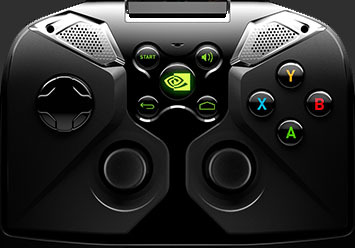 Project Shield would be able to function as a normal controller if you happen to have a GTX-based PC. nVidia says Project Shield would be renamed just before it officially goes on sale. They should have just picked a good name from the start then hyped the heck out of it. Project Shield showing sockets for possible connections. This part of the demo looks awesome though.